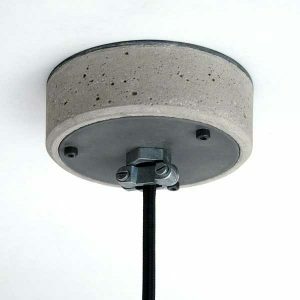 Cast concrete pattress with raw steel base plate & cover plate, alloy cable grip clamp or steel hanging hook. 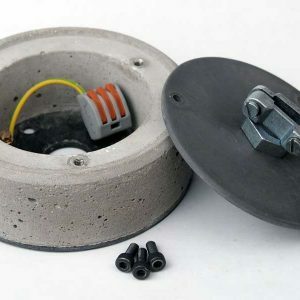 4 fixing holes and a large cable through hole. 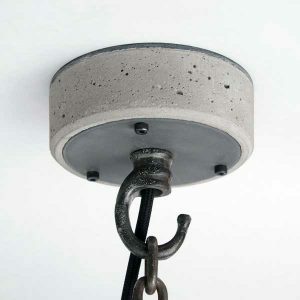 A perfect match for all of the Brutal Design concrete pendant lights.